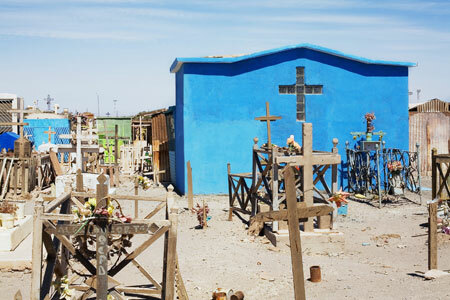 This series of photographs was taken in the Atacama desert, in northern Chile. At the end of the nineteenth century, saltpetre deposits led to development of the industry; a mass influx of workers formed unique communities and fomented industrial disputes that were suppressed. 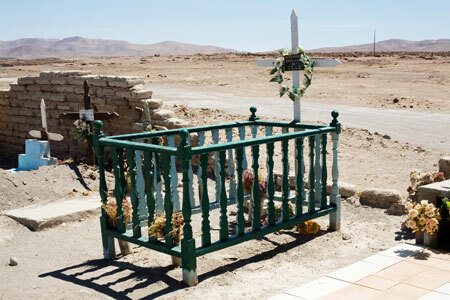 The closure of the mines left ghost towns behind, with the exception of Pozo Almonte, which is neighbour to a large, active and well-kept cemetery.